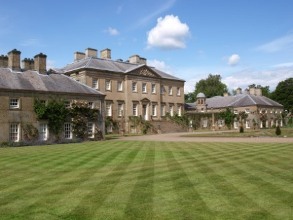 Dumfries House – Dumfries House near Auchinleck is one of Britain’s most beautiful stately homes and best kept heritage secret – described as an 18th Century time-capsule. With its sumptuous interiors, magnificent furnishings and Chippendale furniture collection, all set in two thousand acres of land, there is something to delight visitors of all ages. The Robert Burns Birthplace Museum, 12 minutes drive away, comprises the famous Burns Cottage where the poet was born, the historic landmarks where he set his greatest work, the elegant monument and gardens created in his honour and a modern museum housing the world’s most important collection of his life and works. Crossraguel Abbey – This is the most complete 13th century French Clunaic Abbey left in the UK. 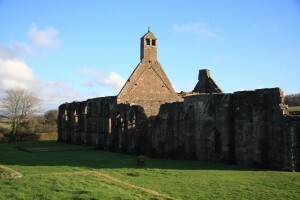 While most other old abbeys are little more than a few stones in the grass, Crossraguel has many walls standing and several complete rooms, with vaulted ceilings and roofs still intact. It lies just outside Maybole and is a beautiful evocative site. 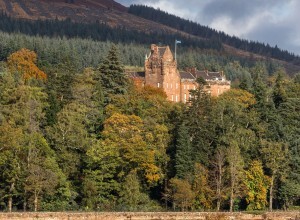 Brodick Castle on Arran sits in the shadow of Goatfell just 10 minutes drive from the ferry, overlooking Brodick Bay. 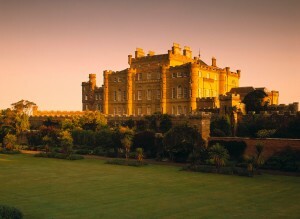 The Castle’s history dates back to the 13th century. Today the castle & country park offer a wonderful combination of heritage, natural environment and relaxation. The garden alone is worth a visit. 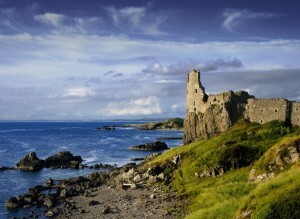 Dunure Castle – This ruined castle sits on the coast 5 miles south of Ayr next to the village of Dunure. The site dates back to the 13th Century and is the point of origin of the Kennedys of Carrick who once ruled over most of South West Scotland. 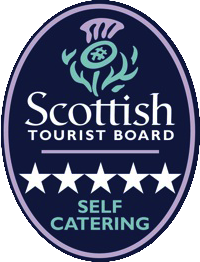 Worth a visit for the beautiful views and walks surrounding the area, there are ample parking spaces, picnic area and a children’s playground nearby.